In Stock. Sold by Jacked Factory and Fulfilled by Amazon. Gift-wrap available. In Stock. Sold by Jacked Factory and Fulfilled by Amazon. 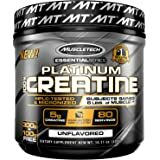 BEST PRE WORKOUT POWDER FOR ENERGY, STRENGTH, AND PUMPS. Nitrosurge is a scientifically dosed pre-workout for men and women. 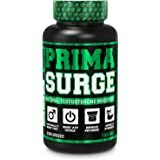 This maximum strength pre-workout supplement without creatine delivers everything you need for explosive workouts and results. Experience explosive energy, instant strength gains, laser-sharp focus, endless endurance, and powerful pumps. TOP PRE-WORKOUT DRINK FOR MUSCLE BUILDING AND FAT BURNING. 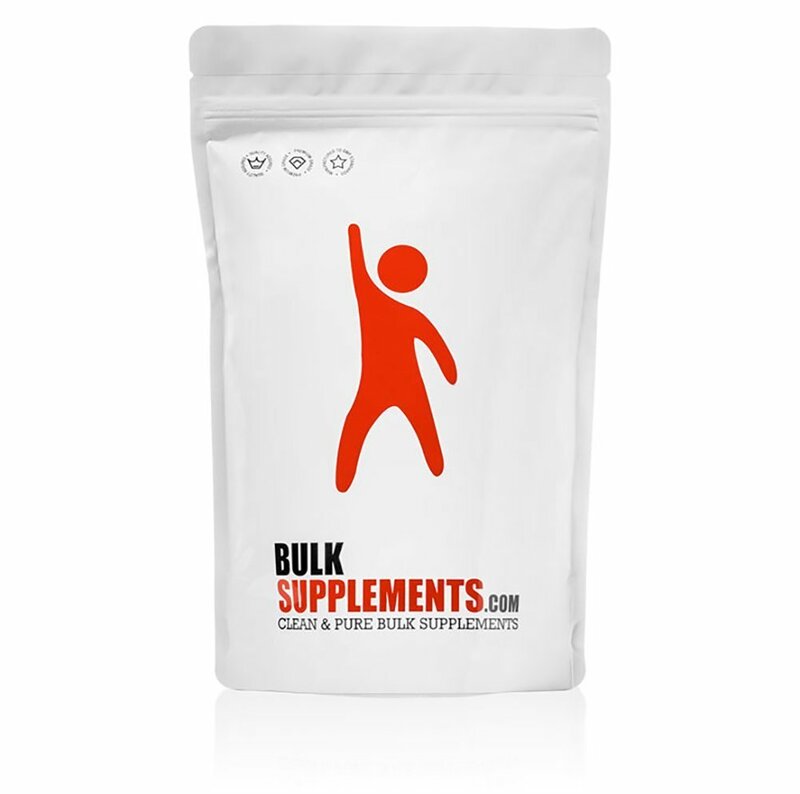 This powerful preworkout energy powder promotes enhanced fat burning and muscle building. The formula contains the most proven, potent ingredients on the planet: L-Citrulline, Betaine Anhydrous, Beta Alanine, Caffeine, Theanine, plus more, and it’s creatine free. NITRIC OXIDE BOOSTING PRE WORKOUT SUPPLEMENT. 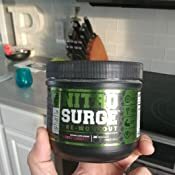 Nitrosurge helps elevate nitric oxide (NO) levels and blood-flow to the muscle to maximize pumps, endurance, strength, and fuel muscle growth. 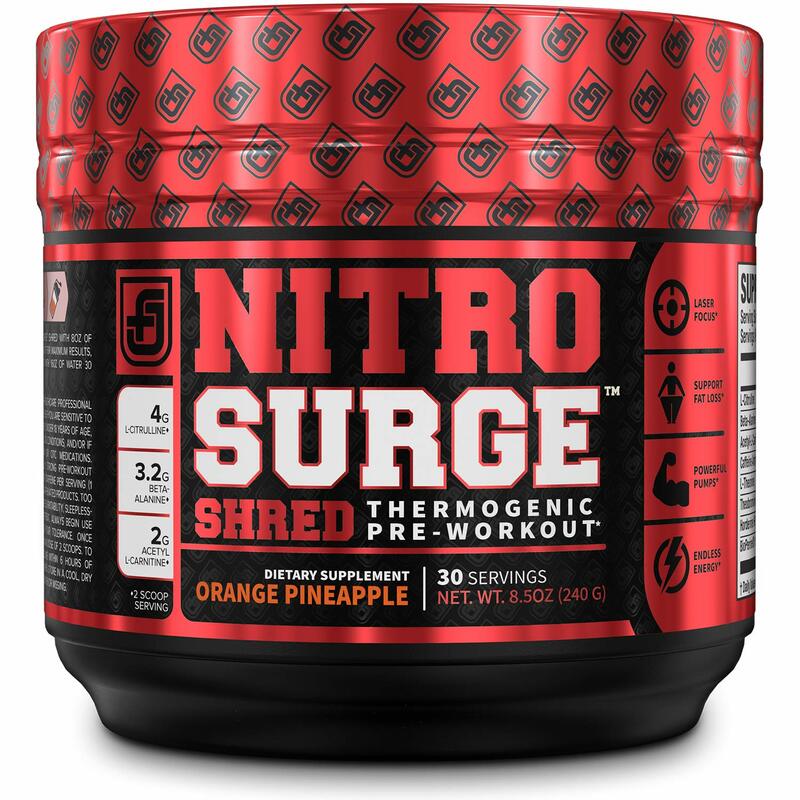 Nitrosurge contains no artificial fillers or dyes and is like no other pre workout supplements on the market. MANUFACTURED IN THE USA IN a cGMP CERTIFIED FACILITY. 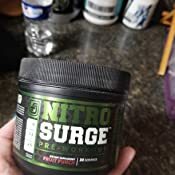 Nitrosurge Pre Workout Drink is manufactured in the USA in a cGMP certified manufacturing facility using the highest quality control guidelines for maximum potency, quality, and safety. 100% MONEY-BACK GUARANTEE. 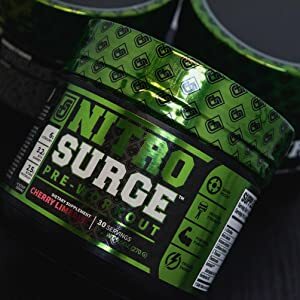 If for any reason at all you aren't completely satisfied with your results from Nitrosurge PreWorkout, simply send it back within 30 days for a full refund. Sold by Jacked Factory and ships from Amazon Fulfillment. Stop settling for supplements that are “Good Enough”. Good enough isn’t good enough. Engineered for perfection, our one-of-a-kind sports nutrition products help you hit the mark. 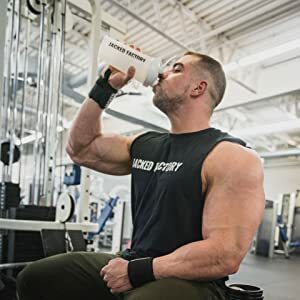 Jacked Factory’s innovative pre-workout fuel, mega-dosed post-workout recovery supplement, and effective fat loss amplifiers work to take your results to a new level. Ignite powerful workouts, achieve amazing results, and conquer your goals. We knew that if we became laser focused on creating amazing supplements that work very well, the rest would take care of itself. We set out to create a brand for the customer that demands the very best. The serious athlete in search of the strongest possible natural edge. We went back to the basics: scientifically proven ingredients, scientifically effective doses, with total label transparency. 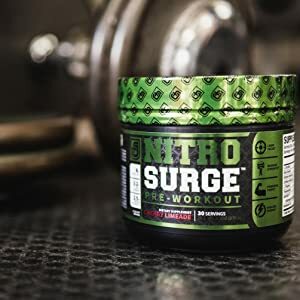 Regular Usage Directions: Mix 1 serving (1 scoop) of Nitrosurge with 6-8oz of water 30-40 minutes before your workout. Maximum Usage Directions: Mix 2 servings (2 scoops) with 12-16oz of water 30-40 minutes before your workout. Do not exceed 2 scoops in a 24 hour period. Safety: Keep out of the reach of children. Do not use if the safety seal is damaged or missing. Store in a cool, dry place. Do not exceed 2 scoops in a 24 hour period. This product is intended for healthy adults only. 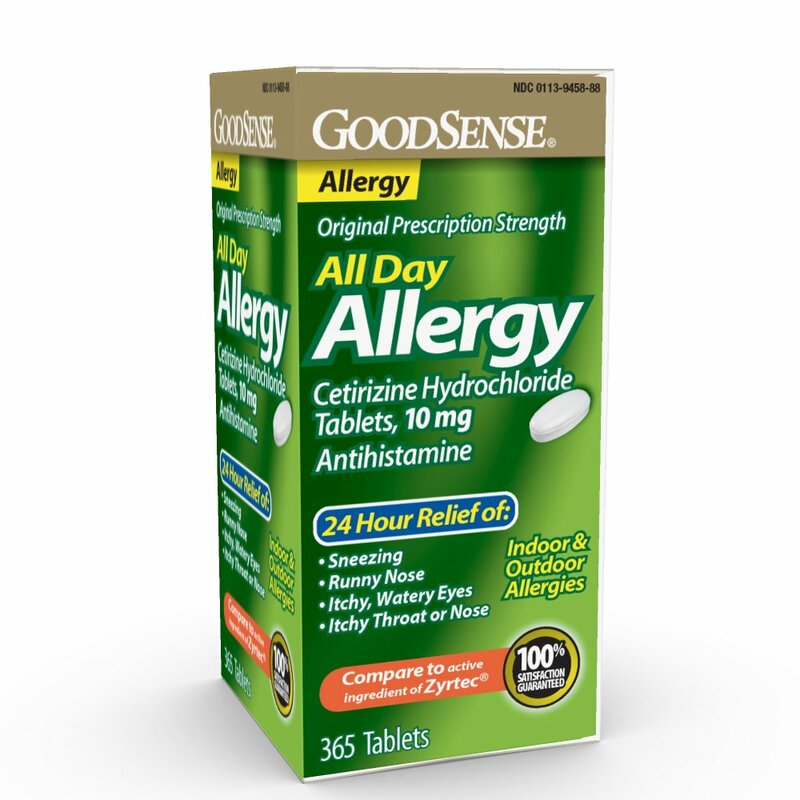 Do not use if you are sensitive to caffeine, pregnant or nursing a baby, or if you have any known or suspected medical conditions. Immediately discontinue use if you experience any negative side effects. This product contains caffeine: too much caffeine may cause irritability, nervousness, sleeplessness, nausea, and, occasionally, rapid heart beat. Do not use this product in combination with caffeine from other sources. Always start with a half scoop to assess tolerance. Do not exceed the recommended dosage. Do not use if the safety seal is broken. Daily water consumption should be significantly increased while using this product to avoid dehydration and support overall health. For best results, use in conjunction with a healthy diet, regular exercise, and healthy lifestyle habits. 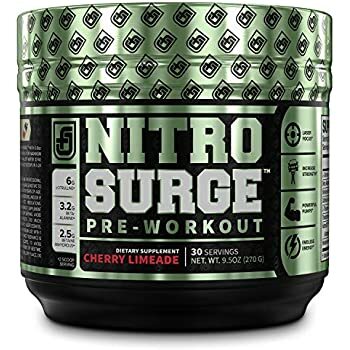 Ingredients Per Scoop: 3g L-Citrulline, 1.6g Beta-Alanine, 1.25g Betaine Anhydrous, 180mg Caffeine Anhydrous, 90mg L-Theanine, 25mg Hordenine HCL, 50mg Theobromine, 25mg AstraGin. Other Ingredients: Citric Acid, Pineapple Fruit Powder, Silicon Dioxide, Calcium Silicate, Natural and Artificial Flavor, Acesulfame Potassium, Sucralose, Fruit and Vegetable Juice. 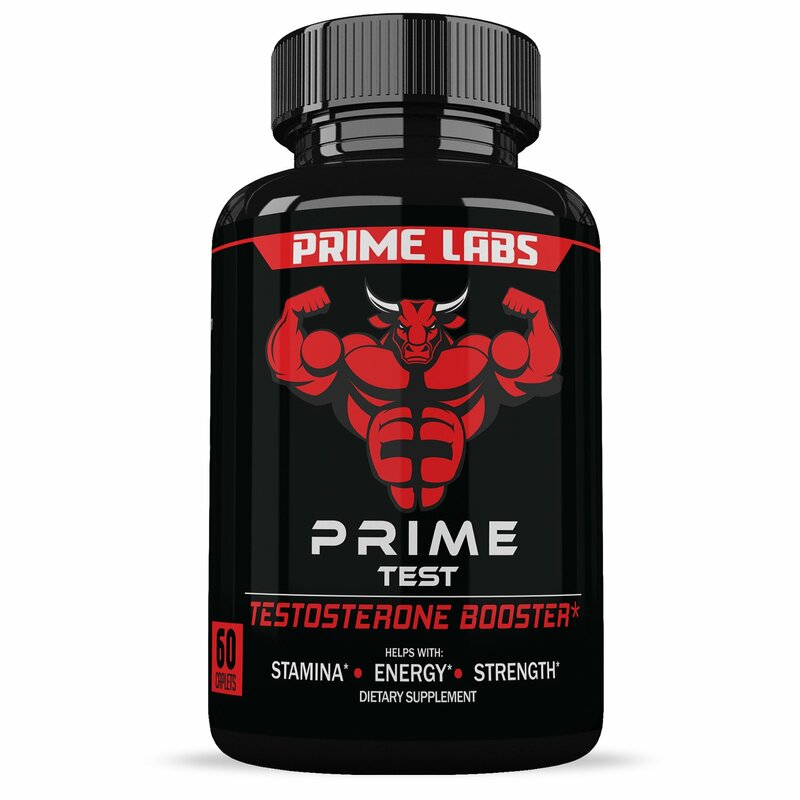 First Use Directions: As a dietary supplement, healthy adults take half a serving (1/2 scoop) with at least 6-8oz of water 30-40 minutes before working out to assess tolerance. Do not increase the dosage unless product is well tolerated. 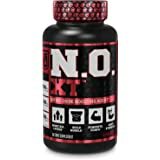 Regular Use Directions: As a dietary supplement, healthy adults take 1-2 servings (1-2 scoops) with at least 12-16oz of water 30-40 minutes before working out. Do not exceed 2 scoops in a 24 hour period. 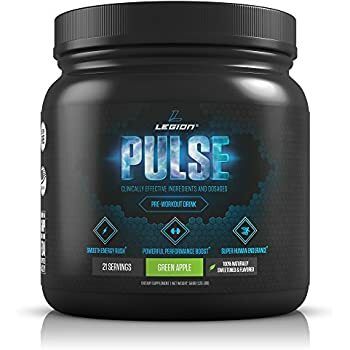 Legion Pulse Pre Workout Supplement - All Natural Nitric Oxide Preworkout Drink to Boost Energy & Endurance. Creatine Free, Naturally Sweetened & Flavored, Safe & Healthy. Green Apple, 21 Servings. I've tried many pre-workouts of larger brands such as PE Science, BPI Sport, Women's best but wasn't completely in love with any of them. I liked them but something was still missing. 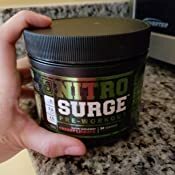 I came across Jacked Factory's Nitro surge when looking for a new affordable pre-workout and decided to give it a try due to the good reviews. Man, lemme tell you, this workout gets my hype. The pump, energy and mental focus is real. I guess the only "negative" is that due to the caffeine this pre-workout will keep you up at night. 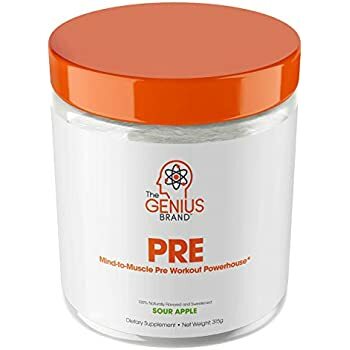 I haven't had this problem with any other pre-workouts (I go to the gym after 9pm) but it's till great and clearly does what it's supposed to. I already ordered another one of their supplements and hope it is just as great! 5.0 out of 5 starsTastes Great! Feels even better! First off I want to say I am in no way affiliated with JackedFactory and have no ties to them. 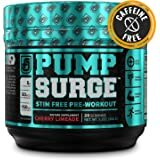 I do have to say I was skeptical when I first was hearing about Pre workout supplements but I decided to give it a try. I read copious amounts of reviews on Amazon for several different products but really was excited about what I was hearing on JackedFactory products. 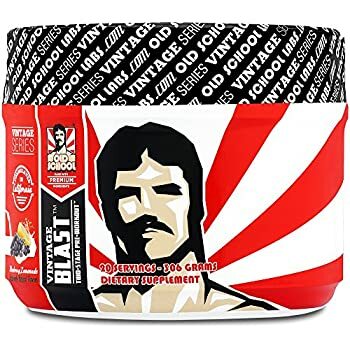 Since I wake up in the morning very early I wanted to find a product that would not only give me a boost to wake up but also gave me the focus that I often didn't have. 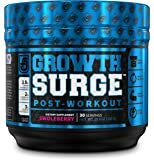 After using this product for over a year, I have seen increases in my strength doubled in most exercises as well as the energy to continue through the day. I spend 2 hours every morning at the gym and with the help of this product I push myself further than I thought I could ever go. I use 1 scoop before I leave the house and I can feel the difference by the time I get past my stretching and warm ups. The flavor isn't overbearing and I rather enjoy it. 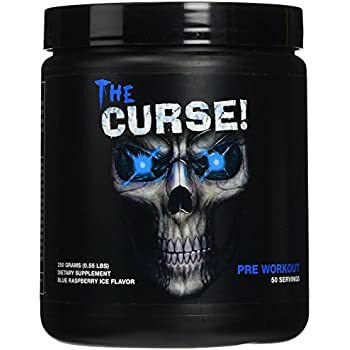 In my experience I do not have any crashes after using this product but I also drink quite a bit of water during my workouts in order to dilute the effects. This product was my 3rd company I purchased supplements from and I can tell you I won't need to search anymore. 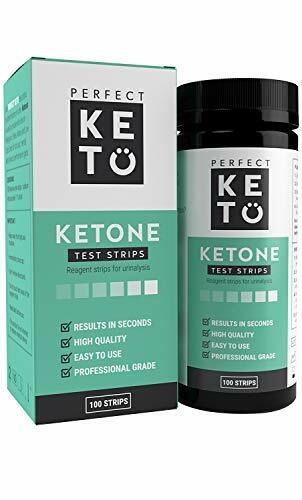 Just a few hours after I had ordered this the seller e-mailed me giving me advice on how to ensure I got the best results with this product, I was actually very impressed by this in the first place. When I actually got the product and started taking it I was very surprised that the flavor wasn't godawful. 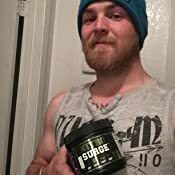 As for how wired you feel after taking it I would actually say it's surprisingly subtle in comparison to most pre-workouts, I would say that it gave me a "bullet in the chamber" feeling. Meaning instances where I thought I was about to be winded I actually felt I could give just little more. 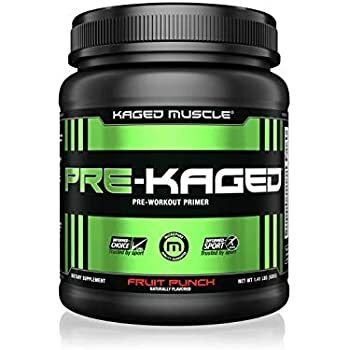 Granted other pre-workouts will give you a "jacked" feeling and in return make you workout like a freakbeast but that generally comes with some pretty bad jitters, which this product never seems to give in return for taking it. 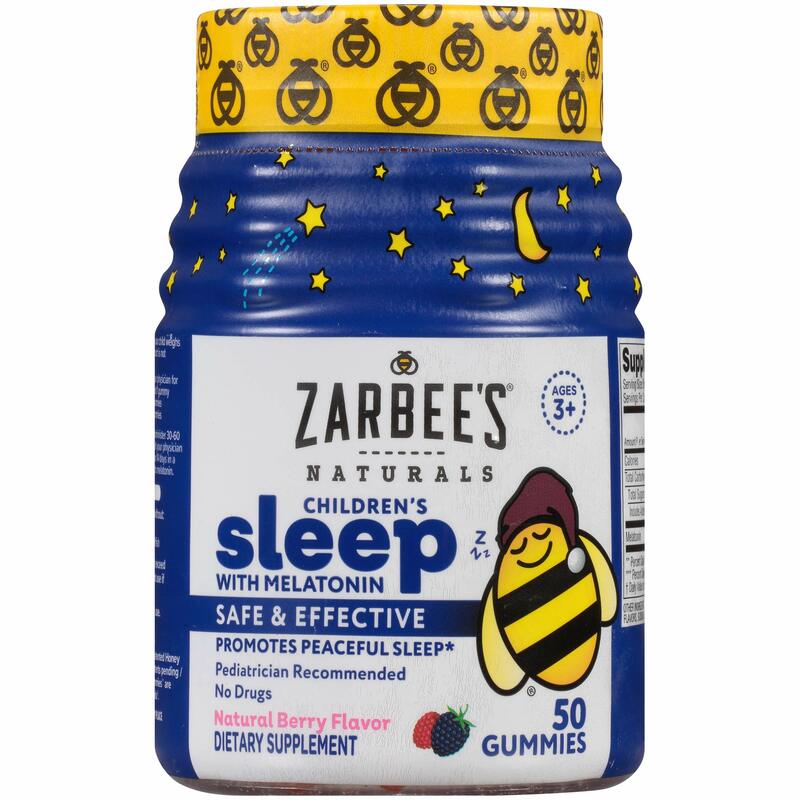 There is one major flaw with it though, and that is the aftertaste feeling you will have in your mouth several hours after taking this product. The e-mail documentation doesn't exactly warn you about this, but highly suggests that you double your daily water intake and I can't help but think that this is the reason why. I often found myself exceedingly thirsty for hours after taking this product and water really only seems like the thing that quenches that thirst. It's honestly the only drawback to this product and honestly I'm going to order it again because of it. Because I mean honestly, who doesn't need to drink more water? 5.0 out of 5 starsReviews speak for itself! I have always been apprehensive about using any sort of pre-workout. I tried C4 which was already pre-made to-go which I picked up at GNC and I didn't care to much for it. It gave me tingly needle feeling over my body. This stuff, I took the chance on buying a whole can of because I saw the reviews and the reviews alone show that this is worth a try. I used it today after having a long day and it gave me the boost to have one my best gym workouts to date. I ran well and still had loads of energy to put in many pumps on the weights. I highly recommend. Price is right too! Like most individuals, the daily/work/raising a family grind can take it's toll. I also commute an hour each way to work, thus losing 10 hours a week of valuable time. I commend those that can get their booty up at 4 or 5am to get their workout in. Unfortunately for me, my two year old won't allow this (I know it's a phase right now). For some reason, she has magic ears beyond her noise machine. If there's a hint of noise and movement, she wants to wake up too (yet, when we sleep until our alarm, she will too). Thus, hard to get a complete workout done before starting the morning routine for work. Enter nightly workouts (after the kiddo goes to sleep and then remains asleep). By this point, it's 8:30 or 9pm and my "ace" is tired. 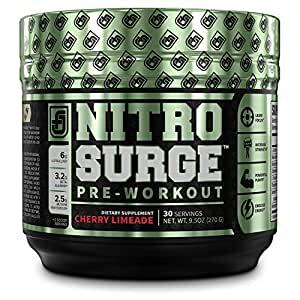 The only reason I can manage to workout is NITROSURGE Pre Workout. I've tried all the other pre-workout kinds too. Yes, they all more or less do the same thing. 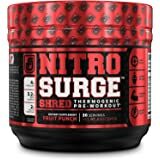 But I have noticed with NITROSURGE, I'm usually able to get in a few more reps and stay more alert throughout. It REALLY helps to kick start my tired body to get in my daily workouts despite my brain saying to do nothing and watch TV instead. My wife also likes it too. She says it makes her tingle a little, but she doesn't mind as it helps kick-start her engine as well. Now, if only Jacked Factory made a fruit punch flavor.... crossing fingers on this. 5.0 out of 5 starsI've never backed out of a workout since I've been taking it! 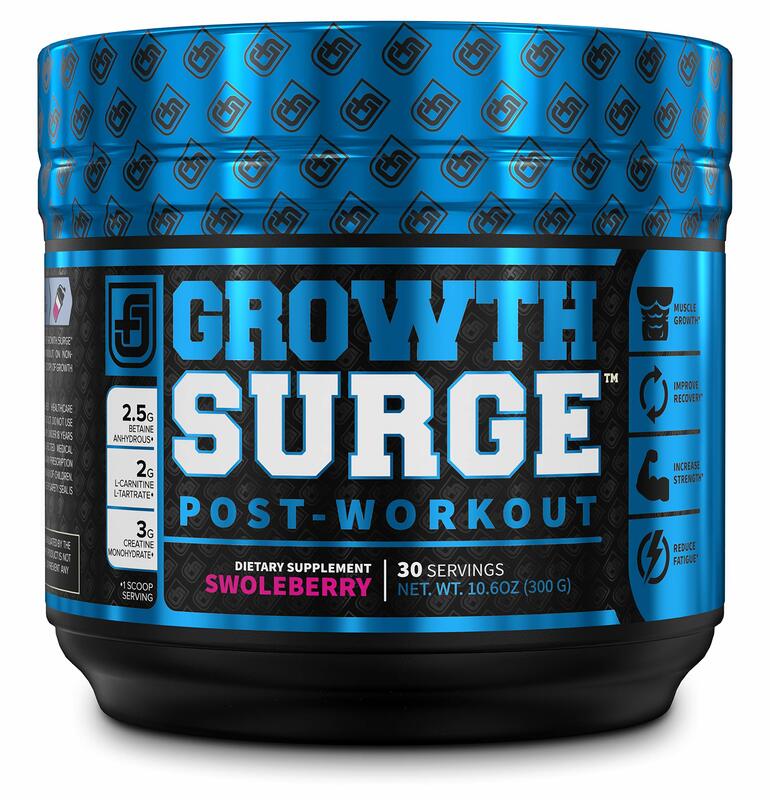 I've tried one other pre-workout from the huge box store and this is far superior! For one, it feels natural...when it kicks in, there are no jittery feelings, just pure energy. I love it! It dissolves in water, instantly! The other product I used would sit on top of the water in clumps and was hard to blend. This product doesn't taste like your drinking a half cup of sugar. I love the natural feel of just pure energy and I have energy through to the end, which by the way, are now twice as long! There have been a few times, I, like probably many people, have felt like backing out of a workout, not "feeling it" but once this product activates in my system and I break that first sweat, it's on! That alone makes it worth the purchase. Last note: those almost missed workouts, always end up being some of my BEST workouts!! !